Wow! How time flies! I remember as a child thinking that the hours could not go by fast enough, especially when I was sitting in a class I didn’t like in school. Now I find there is never enough time in the day to do all the things I would like to do. That said, let me show you a project (or three) completed as 2016 Christmas presents for the clan in California. I have found that I truly enjoy making three dimensional projects. 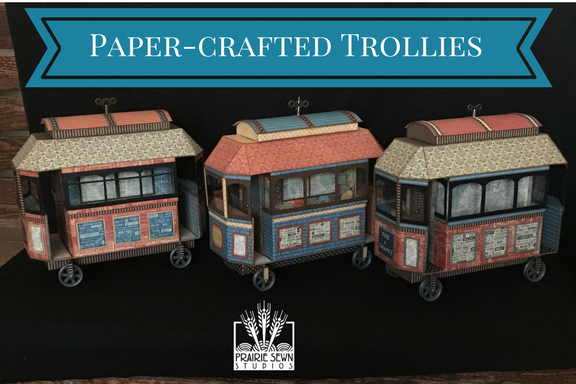 Since both my son and daughter live in the San Francisco area, I thought that Laura Denison’s Trolley project would be perfect Christmas presents. 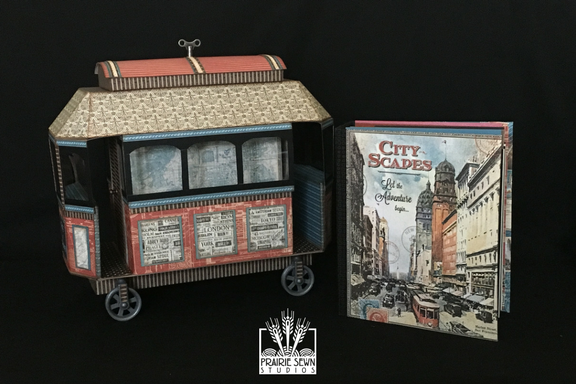 An album sits inside the center area of the trolley. 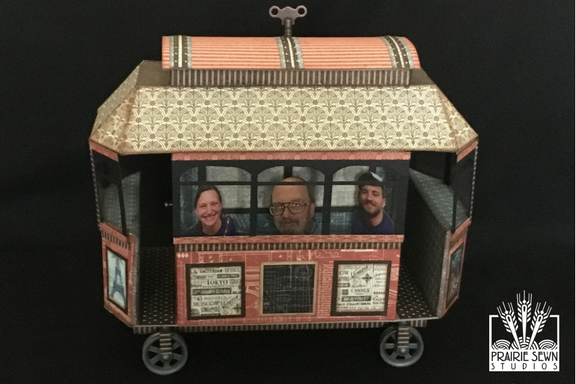 And the passengers aboard can easily be changed – I modified the original pattern so that the long set of windows in the front is held shut by a magnet and flips partway open to allow easy access for addition or removal of various passengers. I’m hoping that the album will be filled with favorites sites visited in the San Francisco area. Slowly some of the long standing places are being eliminated. What better way to remember those places than with a photo in an album! Yes, it did take a while to complete. But the biggest problem was finding boxes suitable for shipping from Nebraska to California. Hmmm, next year I will be more selective in choosing my 3D project! And I know that I’ll return to Laura Denison’s site to find my patterns.